Hendrik Meurkens is listening to music. His keen ears are multi-tasking as he engages in a conversation with LJN Editor Danilo Navas, who is interviewing him and he is listening to the group on the small bandstand in front. “Who is that sax player? “ He asks. It was Shawn Nykwist, who was negotiating a beautiful, tender solo on a ballad that he was playing with Treebeard, a trio that includes Chris Banks on bass and Daniel Barnes on drums. The conversation stops for a while to allow everyone at the table to take in what Nykwist is doing—bending notes, lofty lines and a vanishing vibrato when he is done telling the story. Meurkens loves that and applauds loudly. He has, after all, a saxophonist’s mindset, though he plays the chromatic harmonica (and the vibraphone); or actually in spite of that fact. 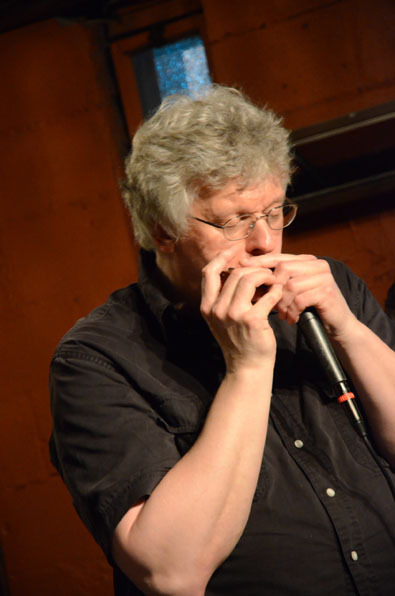 For Hendrik Meurkens is perhaps only one of two harmonica players—the other being the great Jean “Toots” Thielemans—whose playing became a point of departure for mighty Meurkens himself. Meurkens was a vibraphone player first. However it took time, coming into maturation long after he hammered the hide of a drum set that he played in a friend’s basement, when he was growing up in Hamburg, Germany. 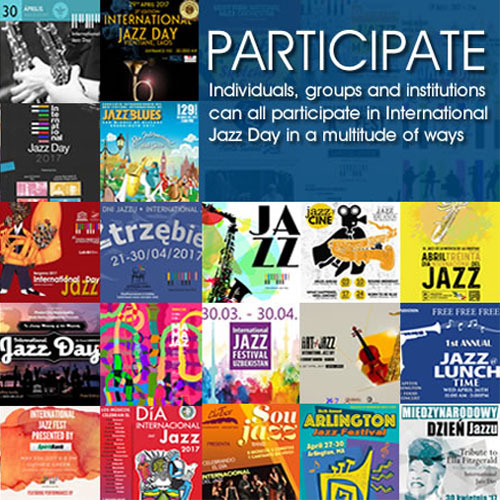 Born into a family where music took pride of place and manifested itself in a large and well-kept collection of jazz and Brazilian music. Like in most European families, piano lessons followed and like most piano lessons this became the acid test for dedication to music. 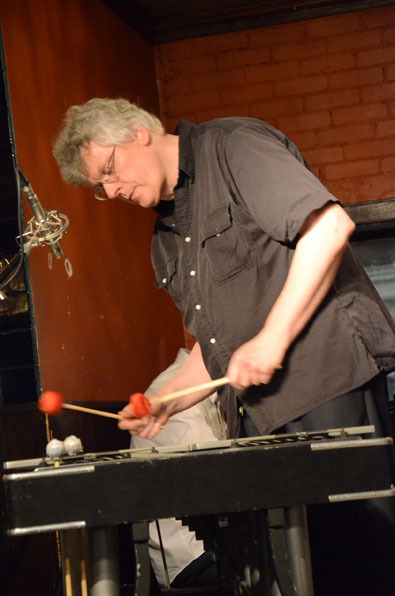 Hendrik Meurkens proved that music was a keeper, but his penchant for percussion colouring and skip at the keyboard metamorphosed into the vibraphone, with which music changed from being a mere pursuit to a passion. Meurkens was a teenager then and it was sometime during that period of his life that he heard “Toots”. 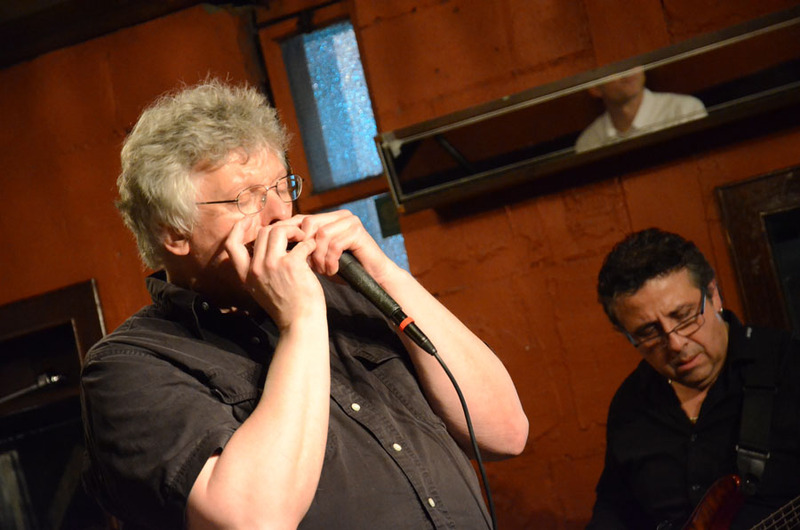 Like a legion of men who were seduced by the great harmonica player, Hendrik Meurkens succumbed to the chromatic harmonica as well. The band is ready. Hendrik Meurkens excuses himself and walks up to the bandstand, looking somewhat majestic, dressed in black. He climbs up onto the stage, counts a fast “one…two…three…four” and the band launches into a bright and bristling version of Meurkens great signature tune, “Sambatropolis”. The chart shoots out from a short introduction that establishes a hypnotic backbeat, played in characteristic style of a dusty, shuffling samba. The ensemble opening sets up Meurkens for his first solo, a melodic two-mallet job that sways and warbles like a sambaista who is calling his dancers to swing and shuffle their bodies in all their regalia, faster, harder. The colours form a blur that is thick and moist. Meurkens paints an enormous musical topography of Rio. As the solo progresses, day turns to night. From the riotous greens and golds are born the lurid colours of the night, blinding in the sharp and crystalline notes of the vibraphone. The city of Rio de Janeiro not only comes alive, but fills the room they call The Rex in Toronto. Brazil fills the beating heart of Hendrik Meurkens and it swells out into his entire being. In fact when he is playing “Sambatropolis,” or, for that matter, one of a myriad charts he has composed in the rhythms of that great country the sombre Germanic character gives way to the burgeoning alegria that overflows when a Brazilian is in the house. Meurkens proverbially immerses himself in the ethos of Brazil. Like many musicians today, he was seduced by the joie de vivre of that South American country. In 1982, at the invitation of the legendary Brazilian harmonica player, Maurício Einhorn, Meurkens moved from Berklee to Rio. He stayed for over a year, immersing himself in samba, bossa and choro. Soon he was recognized by the local musicians and held down a regular Monday night gig at the popular Bar 21. 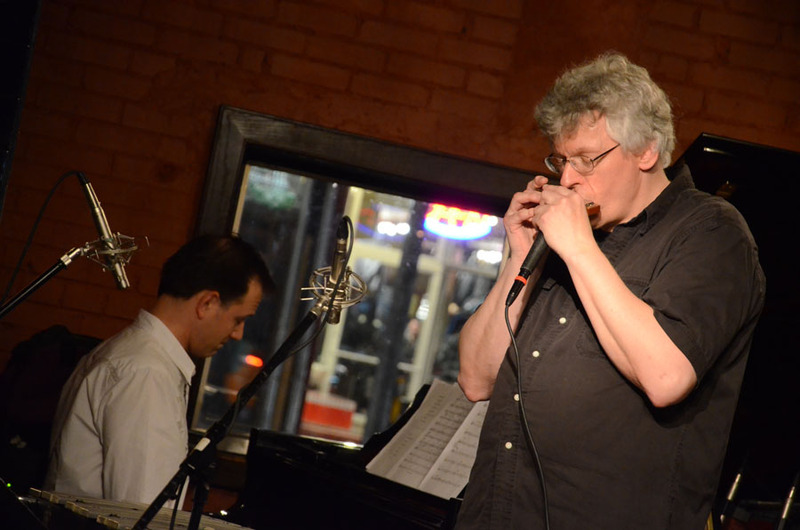 It was a big change from the Berklee College of Music to which Meurkens had been studying, and where he had dived head-first into the language of jazz. Here he perfected his two mallet approach to the vibraphone. He was a drummer and a pianist. 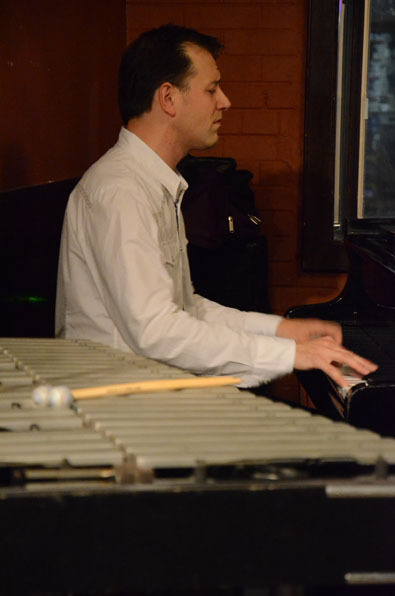 However it was the essential elements of melodicism that drove his approach to the vibraphone. At some point then the imagery turned turtle and right from the soul to Meurkens hands the vibraphone became a saxophone with mallets. Meurkens notes heave like huge drops of wet paint, forming in the air as his mallets rise and fall rapidly onto the resonant keys. A magnificent landscape forms and comes alive at The Rex as Meurkens launches into his solo. The notes trace the wild shuffle of the dancers all the way to Rio. The notes become a part of their feverishly moving bodies as the organic tapestry of the solo weaves and flutters as the song develops, swishing and swathing like the blur of the dancer`s garment. Hendrik Meurkens is getting more frenetic as the solo builds up, heating mind and body. The beauty and simplicity of the song is profound. Meurkens raises the temperature and with a gigantic round “ping,” he hands over the proceedings to his pianist, Attila Fias, who magically takes the music into stratospheric realms. Fias has a profound understanding of Meurkens’ music. He weaves his own Brazilian tapestry with his long and luscious lines, but the mystical harmonics of Meurkens hang about the air as if the room is hot and summery as in Rio. This is typical of Meurkens’ music. It is harmonically Bach but emotionally it is flawlessly Brazilian. 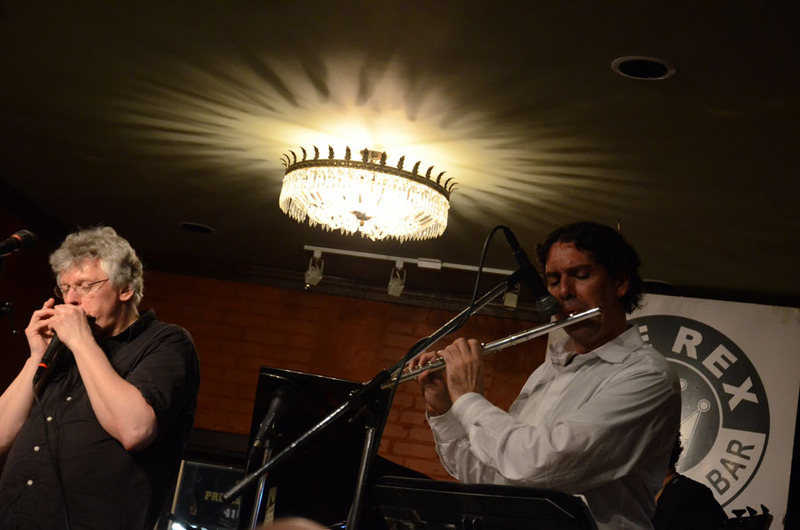 The great Brazilian trumpeter and friend, Claudio Roditi is on the money when he observes, “Hendrik’s understanding of the Brazilian music vocabulary is absolute… His music feels like the work of a native Brazilian composer.” This is high praise in the light of the fact that Roditi has played with Toots. But the most poignant part of Roditi`s observation is Meurkens’ Brazilian-ness. “Sambatropolis” is typical of this aspect of his character. And it is reiterated as Fias brings the chart back to earth and hands back to Meurkens, who is flush with the beauty of his first solo, makes his second sojourn into the streets of Rio, before landing back in Toronto. The applause is appropriate. But there is also much stunned silence from first timers. In fact there is… Behind the rainy night humour of Rio, probably behind the brilliant choro, “Lingua de Mosquito” lays the majestic virtuosity of Hendrik Meurkens. However, more than anything else Meurkens reveals both his sheer ingenuity for choro, which lies at the heart of Brazil, and Meurkens’ Brazilian-ness all at once. 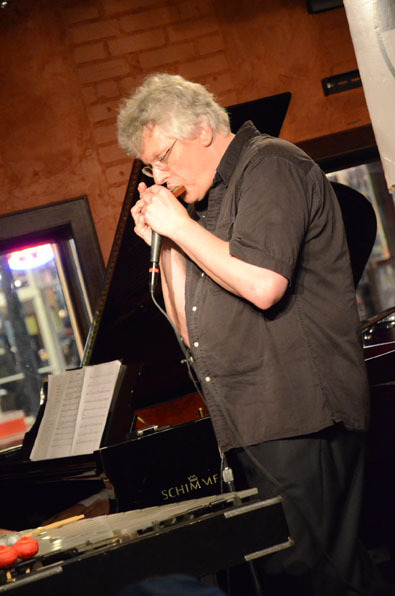 The notes flow with aching beauty from his lips that lie taut against the heart of his harmonica. The music stops the breath of an adoring audience. Meurkens picks a breathtaking path around the melody and carves the air with a heavenly solo. His notes are rarely heard, but so appropriate and so right that in combination they appear both logical as well as mystical. The lines lope and flutter and zip across the now-hot air in the room. This causes them to soar and waffle leaving long blurs of colour in their wake. Once again pianist Fias is daring in his contrapuntal harmonies and his solo matches Meurkens’ for passion, grace and fire. 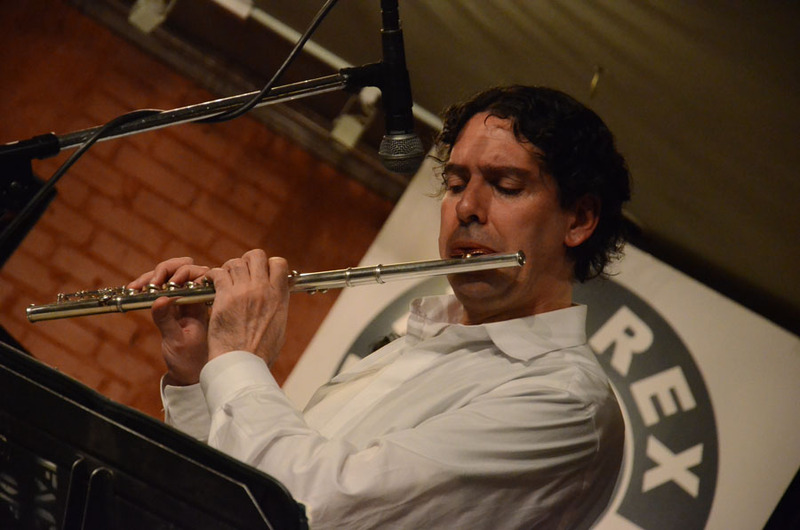 This chart also features the virtuosity of West Coast flutist, Jeremy Price, who is a regular member of Meurkens’ Toronto band (appropriately named The Toronto Samba Jazz Connection), together with drummer Richard Brisco and bassist Paco Luviano. The band is a tightly-knit ensemble playing Hendrik Meurkens’ repertoire in masterful fashion, so much so that Meurkens comes more frequently to this city and will only work with this ensemble. They all join in the festivities of “Lingua de Mosquito” as well as Meurkens’ newer choro, which he composed as a tribute to the city of Toronto and plays as part of the first set, which is called, appropriately “Choronto”. Hendrik Meurkens is generous with his music. And there is plenty to go around. Along the way the stage is shared with the delightful chanteuse, Hannah Burgé, who performed several charts from her upcoming album. Although not as well- known as some of the other singers from Toronto, her music is mature and soaking in emotion. Her rich contralto feeds that emotion and she has a gift for phrasing. Her album is eagerly awaited and will be a fine production. Meurkens is a special guest on her new record, which is produced by longtime musical partner Paco Luviano (Meurkens’ bassist). 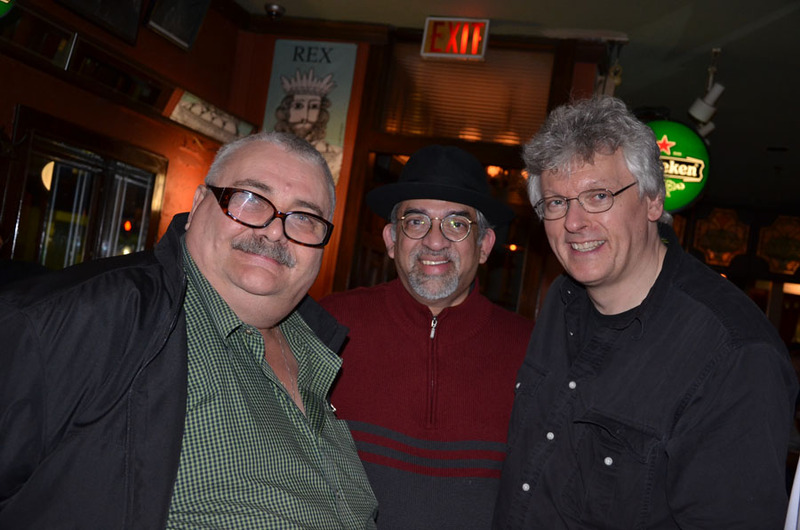 Another surprise guest is the illustrious and one of the swinging-est drummers in Canada, David Cutler. 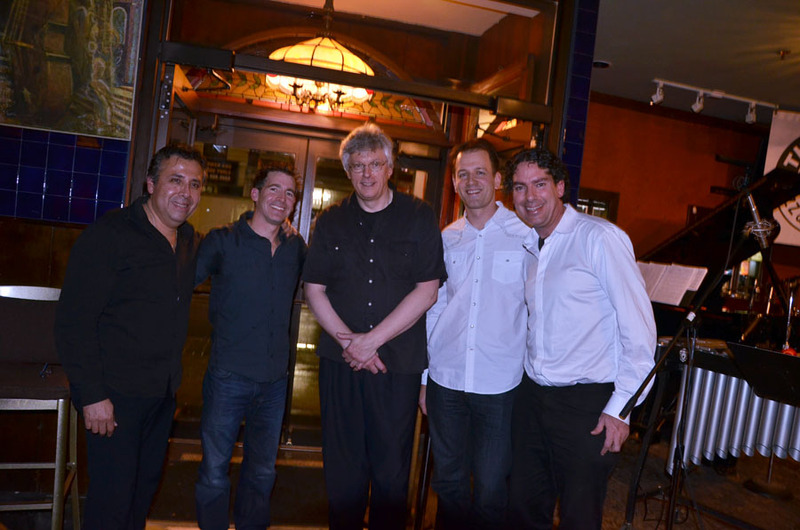 The drummer joined Meurkens on “Days of Wine and Roses” and acquits himself with great skill and finesse. Cutler prefers the realm of swing and this was clear when he sat at Brisco’s set. His notes are crisp and he has a flair for the dramatic. 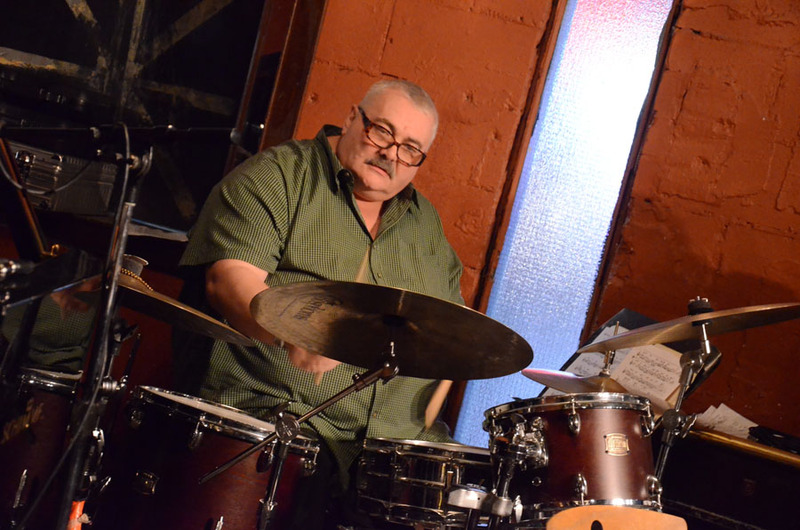 He has a rhythmic voice of his own and carries on the great tradition of Philly Jo Jones and Max Roach. Hendrik Meurkens also plays in the tradition. He is ever cognoscente of the tribute that he woes to Jean “Toots” Thielemans. He picked “Toots’” signature tune `Bluesette” for a spirited homage to the master. Meurkens was flying by the time his first solo rolled out. The energy and sweetness of the melody was palpable and Meurkens knew how to share this with his ensemble. This was a poignant moment in the set and there were tender moments carves out for “Toots” from his own bluesy choro. It was also a time for Hendrik Meurkens to reveal his strong links to a tradition that is complete with heroes such as “Toots”. While honouring his instrumental inspiration, Meurkens paid great tribute to the soul of his musical consciousness: the great country of Brazil and to its many masters, from Pixinguinha to Tom Jobim and João Donato. But the evening clearly belonged to Hendrik Meurkens and the musicians from Canada with whom he has forged into a perfect alliance; a band from whom a record ought to be forthcoming in the not-too-far future.